SALT LAKE CITY — An advocacy group blasted Utah's cannabis bills on Capitol Hill Wednesday. Also, committees approved two bills — one for smaller corrections centers along the Wasatch Front, and one dealing with 15-year-olds who kill police officers. In the legislative roundup below, click on the headline to read the full story. 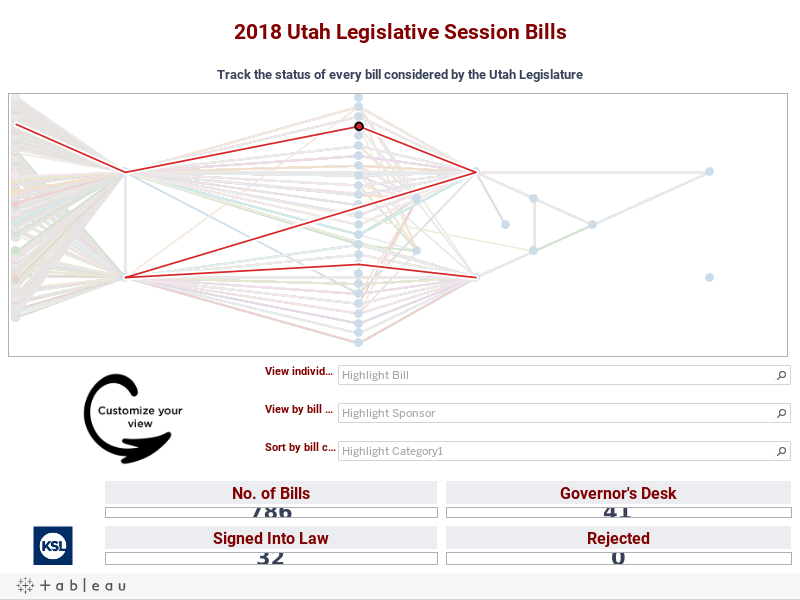 Nobody is pursuing more cannabis-related legislation in Utah this year than Rep. Brad Daw, R-Orem, the sponsor of three bills that would affect terminally ill patients' access to it, research into the substance, and the review of existing research. But in a wide-ranging rebuttal to those measures, an influential medicinal cannabis legalization advocacy group said this week that none of Daw's bills "are worthy of praise or support." “All the bills in their current form do not act in the best interests of the patients, businesses or individuals who have stepped up and voiced their concerns,” said Christine Stenquist, executive director of Together For Responsible Use and Cannabis Education, or TRUCE. A House committee narrowly approved a bill Tuesday that would launch a process of establishing smaller community corrections centers near population centers in Utah. The Law Enforcement and Criminal Justice Committee voted 5-4 to send HB126 to the full House for further consideration. Presently, the state's three community corrections centers are in Salt Lake and Weber counties. HB126 would more evenly distribute community corrections beds among cities of the greatest populations instead of concentrating offenders in two counties where many inmates lack family support, said the bill's sponsor, Rep. Jeremy Peterson, R-Ogden. That support is critical to their successful re-entry to their communities, he said. A bill that would codify college students' legal right to active counsel in campus sexual assault hearings was narrowly struck down in committee Tuesday. The House Judiciary Committee voted 5-6 against a measure to send HB82 to the House floor after a hearing that lasted for more than two hours. The bill's sponsor, Rep. Kim Coleman, R-West Jordan, explained that since her bill passed the same committee last year, the Utah System of Higher Education created a policy that does what her bill does: It permits students the right to active counsel during such proceedings. However, she reasoned, "policies do not afford the same legal protections and represent the same force of law that a rule does or that the actual code does." Fifteen-year-olds accused of killing on-duty law enforcement officers could be charged directly in adult court under a bill that was approved Tuesday by a 5-4 vote of the House Law Enforcement and Criminal Justice Committee. HB190, sponsored by Rep. Mike Winder, R-West Valley City, would give prosecutors the option of filing charges against 15-year-olds directly in adult court in cases of murder or aggravated murder of on-duty police officers. State law currently allows direct filing of charges at age 16 for any offense that would be murder or aggravated murder if committed by an adult or certain other felonies. The genesis of the bill, Winder said, was the death of West Valley police officer Cody Brotherson, who was struck by a vehicle, killing him on impact. A bill allowing political parties to stop candidates from both participating in the caucus and convention nomination process and gathering voter signatures was advanced Tuesday by a House committee. The sponsor of HB68, Rep. Justin Fawson, R-North Ogden, said he sees giving political parties that choice as a "good compromise" in the ongoing battle over changes made to the nominating process in 2014 still known as SB54. Fawson told the House Government Operations Committee he believes the public wants to keep the signature-gathering path created through the deal made then with backers of Count My Vote, an initiative to establish direct primary elections. A rural lawmaker figures if federal agencies are going to manage the land they own impacting the lives of state and local residents, why not move those agencies closer? Rep. Carl Albrecht, R-Richfield, is running HJR02 to urge consideration of relocating the headquarters of the Bureau of Land Management and U.S. Forest Service to Utah. "My daddy always told me, he said, 'If you want to manage the land, you've got to be near it,’" Albrecht told members of the Natural Resources, Agriculture and Environment Subcommittee on Tuesday. The Utah Senate on Tuesday passed a bill that would allow the removal of mentally incapacitated elected officials in certain counties. 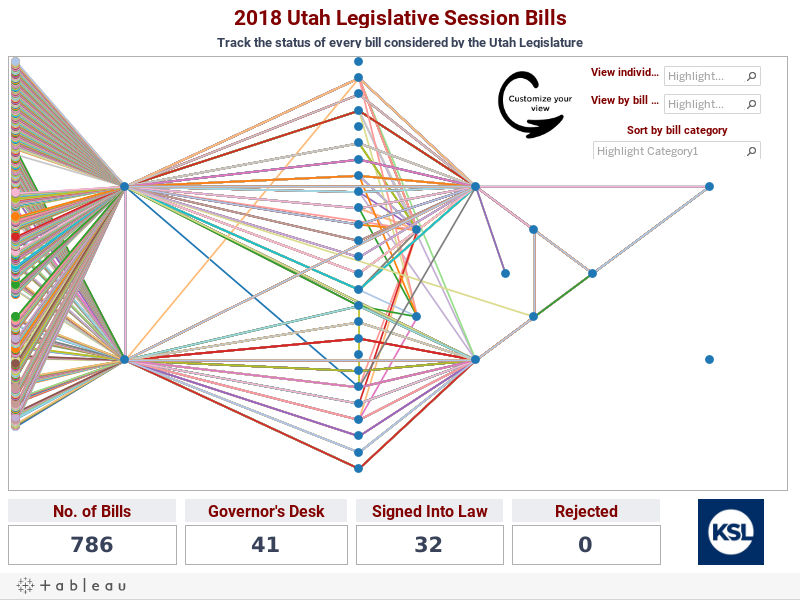 SB38, which rose out of the controversy surrounding former Salt Lake County Recorder Gary Ott who remained in office while he appeared to suffer mental health issues, passed with a 27-1 vote. It now goes to the House. But even as the bill moves forward, Salt Lake County Council members are split on their support of the bill, with some frustrated it would only apply to a handful of counties in Utah that have at least five elected officials on their council or commission — and not to city or state officials. "The same issues could affect a human being no matter what legislative or executive position they hold," said Salt Lake County Councilman Steve DeBry. "If legislators are going to enact a law up there, it ought to be across the board, and if they can't do it, I'm going to be a 'no.'"